Whether you are looking to upgrade your OS, replace hardware, or migrate thousands of PCs because of a recent business acquisition, SWIMAGE handles it all. Companies who adopt SWIMAGE as their OS deployment solution save thousands of dollars in TCO over the life of a PC, starting from the moment the PC is purchased. A new PC is provisioned in SWIMAGE prior to delivery and can be shipped either to an IT depot center, or in most cases, directly to the end user. 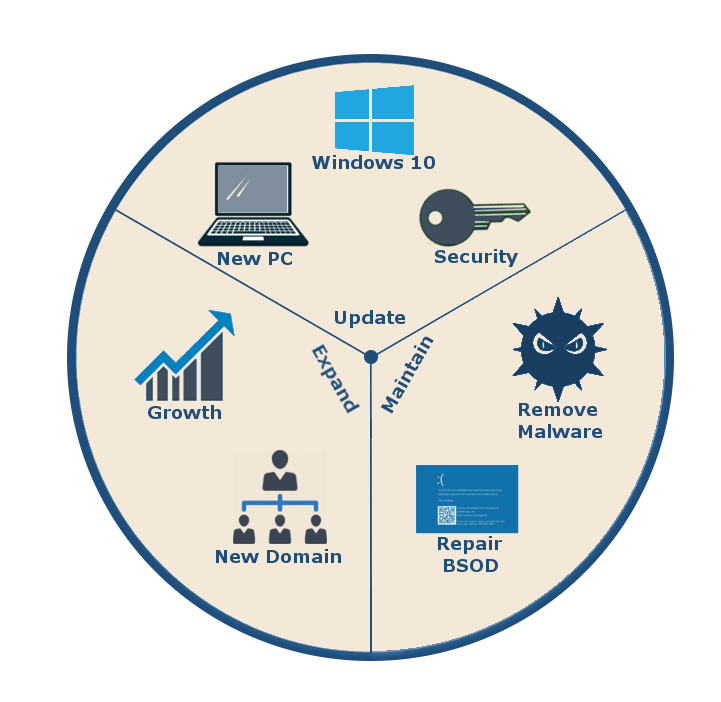 Simply power on the PC and it builds itself with the latest OS, all updated patches, all user-specific applications, joined to the domain, and ready to use. If the user has an old PC, SWIMAGE will even migrate all the data from the old PC to the new PC over the network or directly with a cross-over cable. If during the life of the PC, any issues arise, SWIMAGE can reimage the PC, in-place, so that the user is rapidly productive again. Application, data, and all functionality restored within an hour, usually completely zero-touch. With any new OS release, SWIMAGE will manage the process so that the PC can upgrade cleanly and without error, and without an IT visit. SWIMAGE can deploy anywhere from a single computer to hundreds a day with no desk-side visit and no user impact. Every PC will have its own configuration set required for the user, meaning the user will have all application and data at first login. SWIMAGE has been fundamental in helping companies, large and small, migrate millions of PCs over the years. SWIMAGE simplifies the OS deployment process, which allows companies to standardize their environment, fix PC problems quickly, and adopt the latest operating system with little effort. SWIMAGE is the most mature and most reliable deployment and migration tool on the market.